This is noisy pop that sounds dreamy, but don’t be mistaken — calling it dream pop would be a little wide of the mark. 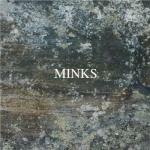 Minks certainly culls some influence from the dream pop side of things, but there’s a distinct difference here. It’s a little hard to put my finger on, but these short-form songs don’t lend themselves to the label. It’s easy to get lost in tracks like Indian Ocean and you’d be forgiven if you thought the band’s four-minute effort droned on a bit long. Sure, four minutes isn’t long at all, but Minks offers up a penchant for short-form indie rock, and as this is the longest track on the album, it’s clear they probably feel the same. In fact, it’s incredibly easy to get lost in the whole of By the Hedge. Like in a dream, everything sort of blends and we’re left with a mesh of recognizable features but no distinctly recognizable whole. That said, it still feels strangely fresh and invigorating: Dirty, messy pop music that you’ll want to hear again — if just to make sure you heard correctly. Yeah, Minks has churned out an enjoyable full-length debut, but there’s an ever-present possibility that it’ll get lost in the mess — much like the standout moments on By the Hedge, there’s always a haziness enveloping everything like a dense fog.